That’s the tax burden GBTA focused on in its September research report on Travel Taxes in the U.S.: The Best and Worst Cities to Visit. One piece of information in the report will be especially helpful to both corporate and association meeting professionals. 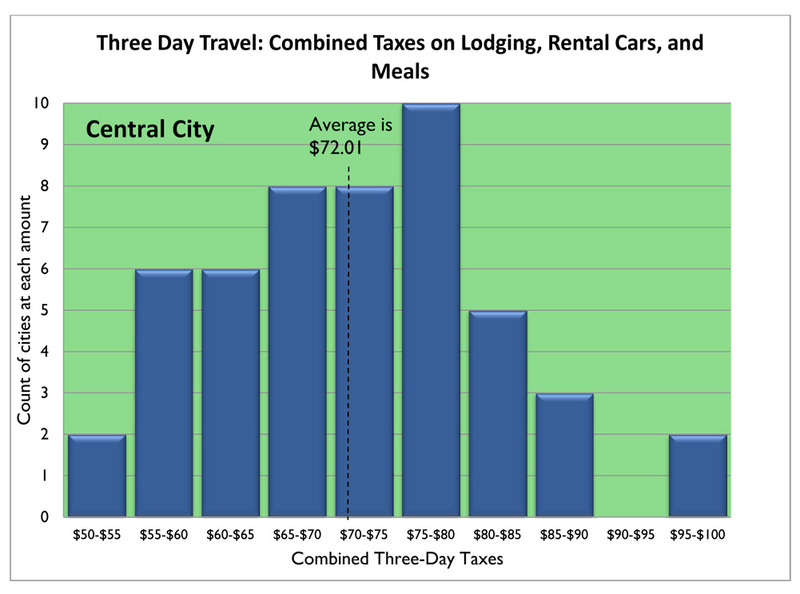 Combined taxes on lodging, rental cars and meals in central cities for a three-day trip averaged $72.01, but ranged from a low of $50-$55 to a high of $95-$100. Single-day travel taxes for the above cities ranged from $22.21 (Ft. Lauderdale) to $24.50 (Orlando). Note: According to the report, taxes in Honolulu and Orlando are essentially unchanged from last year, but moved up in the rankings because previously low-tax cities saw some notable increases in 2012. Single-day travel taxes for the above cities ranged from $40.31 (Chicago) to $33.51 (Houston). Note: Similarly, Houston changed little in the ranking, just moving up from 11th place last year. Their Strong Pace Into Next Year?